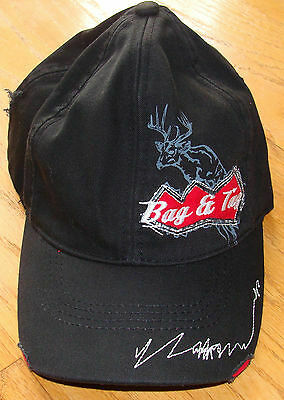 This is a youth New Without Tags Distressed BAG & TAG Bass Pro Shops Cap Hat. The photo I took Of the back of the hat is the wrong shade of black. This cap is jet black. Embroidery on front & back. Hat is black. Very nice hat for to wear or put in your collection. Has a Velcro back strap for easy fit. Some of these hats I have had for quite a while & the majority have been stored away. Some may have a bit of dust on them. All you need to do is run a damp cloth or soft brush over them. You can also wash most of them if you want that used look. Please read cleaning directions if there are any before washing it. EVERYTHING THAT I SELL IS DESCRIBED TO THE BEST OF MY KNOWLEDGE.